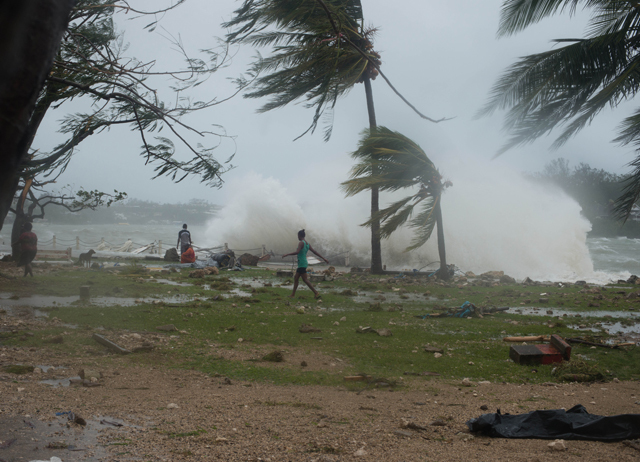 The category five storm hit Vanuatu and the Solomon Islands on 14 March, bringing wind gusts of up to 300km/h (185mph), torrential rain and leaving death and destruction behind. 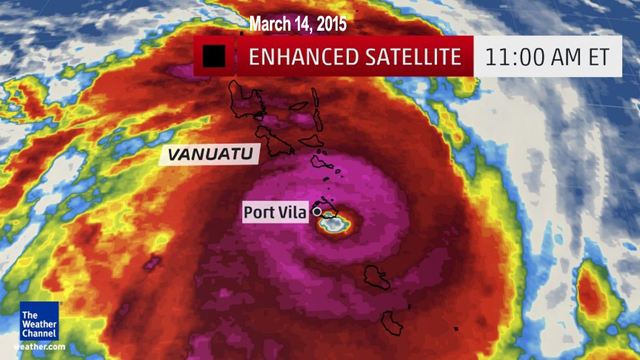 In Vanuatu, the emergency triggered international aid, and many planes have been arriving with supplies. Temotu, the easternmost province of the Solomon Islands, has been as badly affected as Vanuatu, but its smaller population has not triggered an international aid effort, leaving them with little help. Randall Donofrio described via the Bluewater Cruisers Association what it was like to weather Cyclone Pam: ‘Nothing prepares you for 130 knots of sustained winds for a few hours. He added: ‘The clearing effort started immediately, and when we got to the harbour we found about 90% of the moored fleet either damaged, sunk, semi-submerged or tossed up on shore like toy boats. 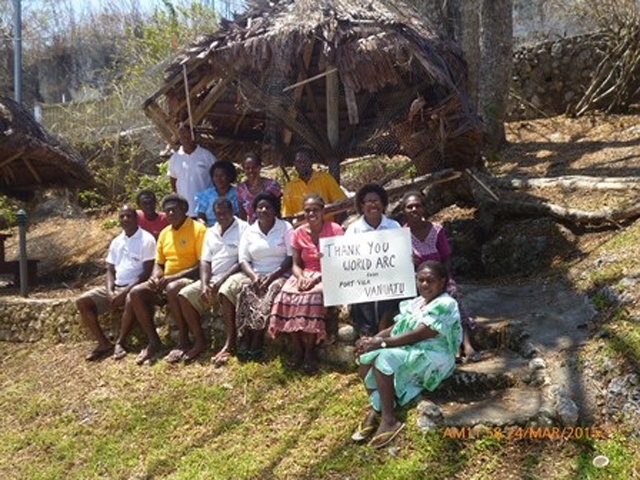 The World Cruising Club (WCC) Vanuatu Cyclone Relief Fund has now passed the $25,000 mark, and donations are ongoing. 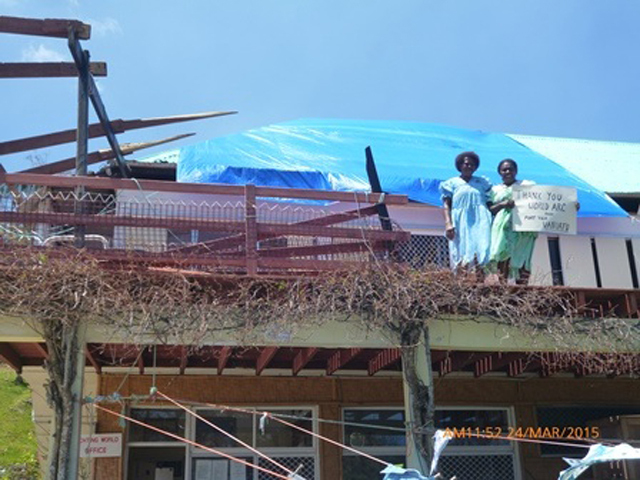 The first $5,000 has been distributed to the owner of Yachting World Port Vila to directly assist their 52 staff to rebuild family homes, and provide shelter and safe water to drink. ‘The fuel dock is up and running again, and they are now open for business with power and water back on. ‘The daily sound in Port Vila is one of chainsaws, and there is the smell of wood fire smoke everywhere. ‘The people here are trying to get on with life: they never ask for help, but the truth is each person we ask says they have lost their homes, and the situation is getting worse as crops were washed away and people are homeless and hungry. Tom and his partner Susie were in New Zealand when Cyclone Pam struck: Adina was undamaged, having been tied down in a cradle in the Port Vila Boatyard. They are now sailing Adina to the outer islands laden with relief supplies. There are many international organizations helping Vanuatu. One organization, Sea Mercy, has its own sailboats and focuses on reaching the remote islands that are usually the last to receive aid. Sea Mercy has so far sent three sailing vessels to join the disaster relief and recovery efforts in Vanuatu, providing aid packages to remote islands, with more vessels en route. Charity founder Richard Hackett said: ‘It is still chaotic as the local and international aid organisations try to coordinate all the non- governmental organisations and international aid assistance to those in need. The National Disaster Management Office has confirmed 11 fatalities in Tafea and Shefa Province, including five in Tanna Island. There are 3,300 people sheltering in 37 evacuation centres. On 15 March, Vanuatu’s president appealed for international support in the light of the nation’s ‘unprecedented damages’. He added: ‘We are working closely with communities hit by the cyclone in Temotu. We have a volunteer there now with a range of chainsaw equipment clearing fallen and dangerous trees. Tourism will play a vital role in the economic recovery of Vanuatu, and the World Atlantic Rally for Cruisers (ARC) fleet is committed to visit in July. For cruisers planning to independently visit the islands, the Medical Sailing Ministries will be publishing a list of items that would be helpful to take to the remote communities.